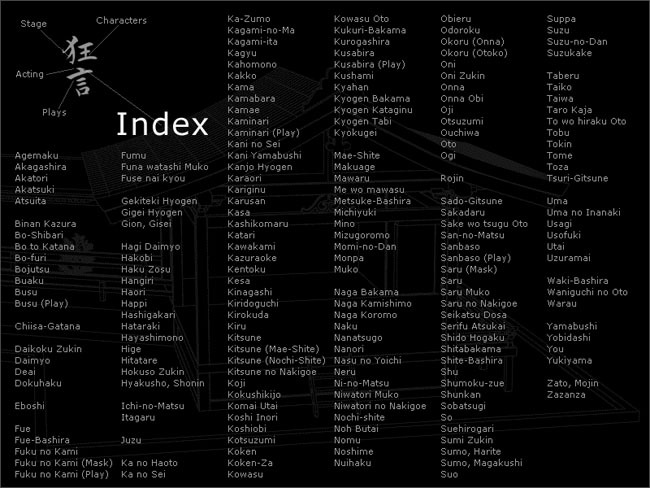 Here is the navigation menu, but your browser doesn’t support the object tag. 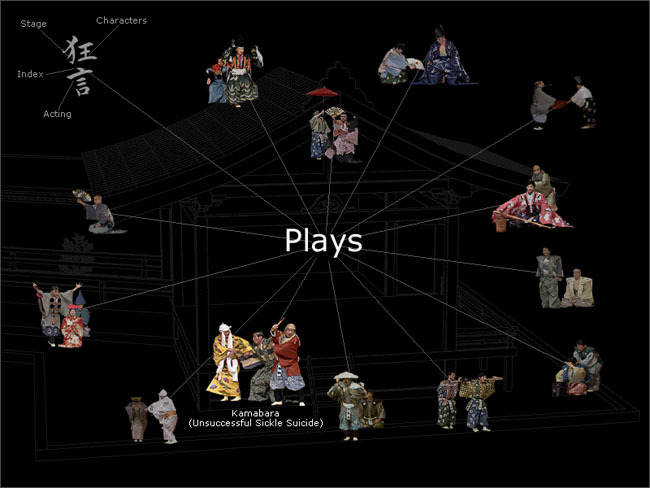 That's Kyogen is an interactive anthology of the Japanese Kyogen theater. 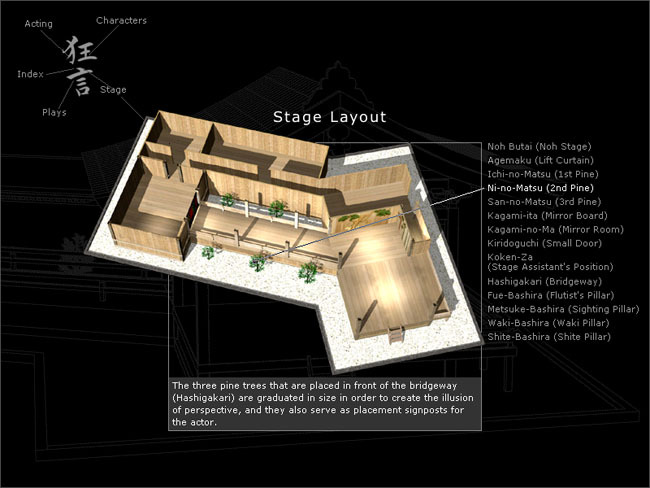 Traditionally, Kyogen pieces are short satirical intermissions in longer Noh acts. 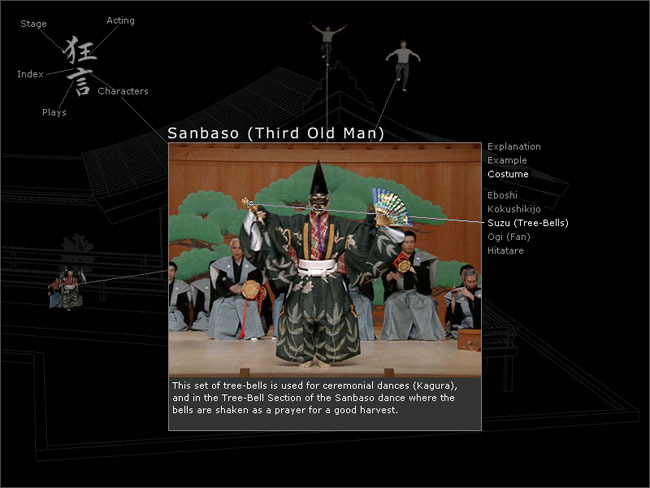 Today, Kyoegn pieces are often performed just by themselves. 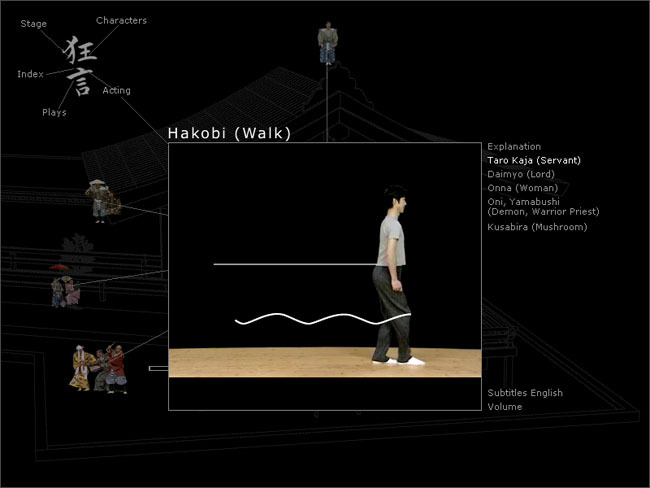 The project That's Kyogen consists of two parts, an interactive DVD-ROM and four DVD-Videos. 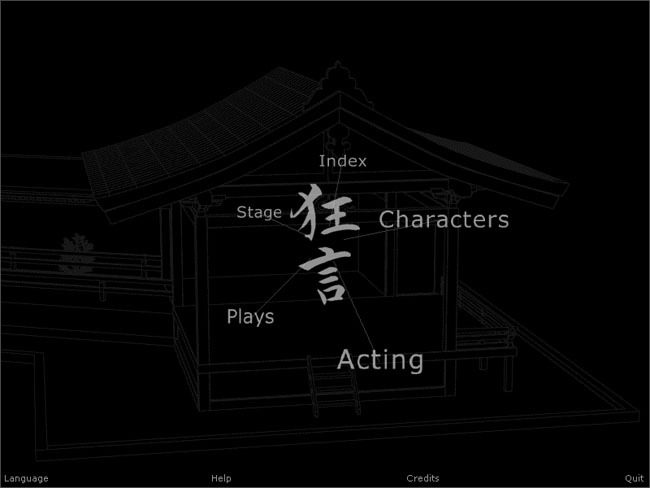 The interactive component of the project gives an in-depth analysis of Kyogen theater, its plays, roles, acting styles, stage, and props. 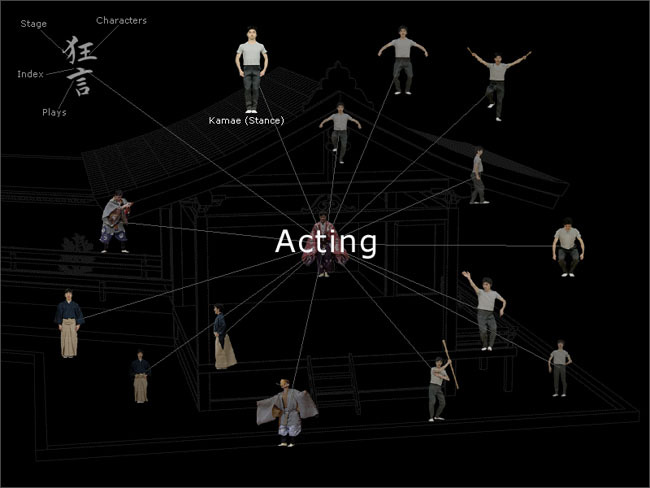 Demonstrated and explained by the famous Kyogen actor Mansai Nomura, the DVD shows movements, gestures and expressions of the different characters in an analytical way. 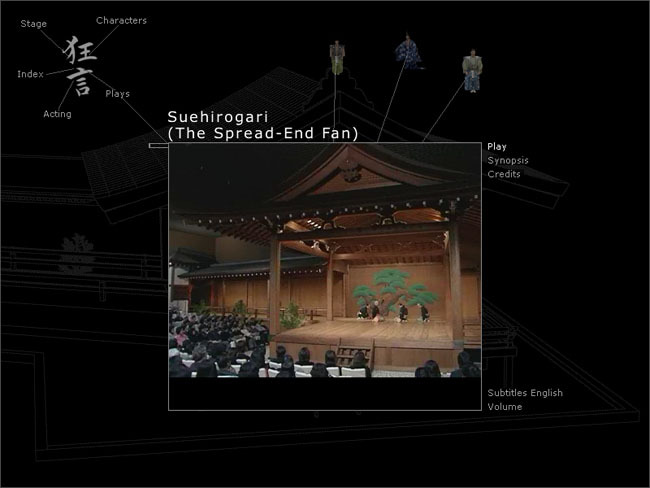 The DVD-Videos document performances of the most important Kyogen plays.